Take Back Your Good Night’s Sleep! Does your partner complain that you snore loudly or notice that you stop breathing in your sleep? You may have a condition known as sleep apnea, a serious disorder that can result in more severe medical issues. At Glendale Dental Wellness Center, Dr. Robert Sue offers comprehensive sleep apnea evaluations and treatment options, including dental appliances and specialist referrals, to restore your quality of sleep. Why Choose Glendale Dental Wellness Center for Sleep Apnea Treatment? Sleep apnea is a potentially life-threatening sleep disorder where you stop breathing for periods of time while you sleep. When left untreated, this health problem can deprive your body and brain of oxygen and lead to serious medical complications. Sleep apnea commonly occurs due to a blockage in your airway as the result of soft tissue collapse. A less common cause of sleep apnea is when your brain doesn’t signal your muscles to breathe due to a condition called central sleep apnea (CSA). 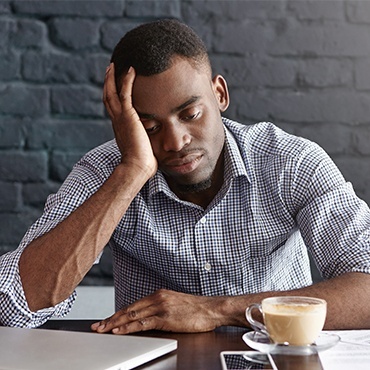 People with sleep apnea often experience performance difficulties in regular activities as well, including work and school, and may experience persistent fatigue due to sleep interruption and a lack of oxygen. Our office is fully capable of treating pre-cursors to sleep apnea as well, which includes loud or excessive snoring. Not everyone who snores suffers from sleep apnea (and vice-versa), but these patients do still have a higher risk for developing this health problem over time. That’s why we recommend that excessive snorers should receive treatment with a custom oral appliance. Doing so can improve your overall health and provide a better night’s sleep. While the continuous positive airway pressure (CPAP) machine is largely considered the gold-standard for sleep apnea treatment, it is not for everyone. Many patients cannot get used to wearing the mask at night, especially if they feel claustrophobic while doing so. These individuals can largely benefit from an oral appliance, which offers lower rates of compliance issues and works for mild and moderate levels of sleep apnea. These devices are custom-made to fit your mouth exactly, so there’s no worry about your device fitting comfortably while you sleep. Sleep apnea is a chronic condition that can negatively affect many aspects of your life. 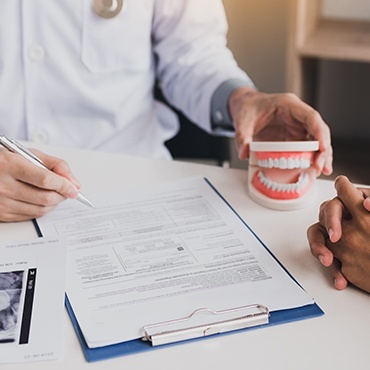 Receiving treatment as soon as possible is incredibly important, which is why we implore patients to utilize their Medicare benefits to help pay for oral appliances designed to treat sleep apnea. These include both the Herbst oral appliance from SomnoDent and the TAP 3 from Dental Arts Laboratories. Our office will do everything we can to help you understand your Medicare benefits when treating sleep apnea.